Great to see a new cycling business opening up close to Ronda (in Grazalema…) Fantastic bikes and really well researched routes for all levels. You can explore the Sierra de Grazalema Natural Park and its surroundings by bike and visit some of Andalucía’s famous white villages following the routes prepared for you. Or, let Grazalema Cycling guide you along the quiet roads and beautiful trails of the area. The choice is yours! e bikes (battery assisted) are available and daily rates are very reasonable. Are you in mechanical trouble whilst cycling in the area? Grazalema Cycling can help you out! as they have a bunch of the basics for both road bikes as well as mountain bikes in case you need it: inner tubes, tyres, chains, quick links, multi-tools, tyre levers, etc. If you are staying in Ronda for a few days and have a car then you will want to get out and about to explore more villages in the area. 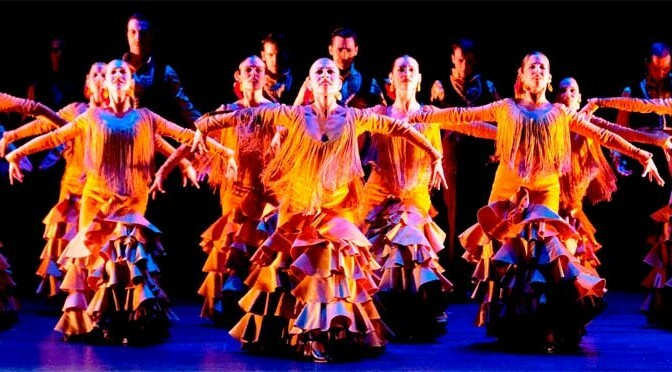 The “Pueblos Blancos” or white villages encompass the north east of Cádiz and north west of Málaga provinces and this area is saturated in history with palaeolithic cave paintings, neolithic dolmens, bronze and copper age remains, Roman roads, Visigoth fountains and Moorish towers. For the most part, these tours take us through towns created during almost 800 years of Muslim settlement. Berber tribes arrived here in around 714, coming from similar mountainous terrain in Morocco. They chose easily defended sites and built watch towers as an early warning system against attack. All of which was needed as this area was a lasting frontier between the Muslim and Christian kingdoms. 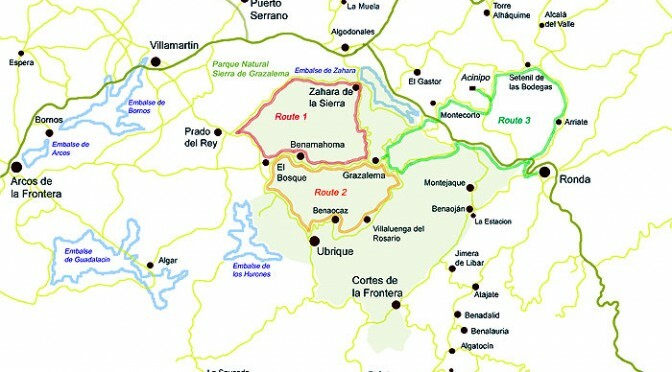 You can read more and print off the 3 driving white village routes at the Grazalema Tourist Information website. 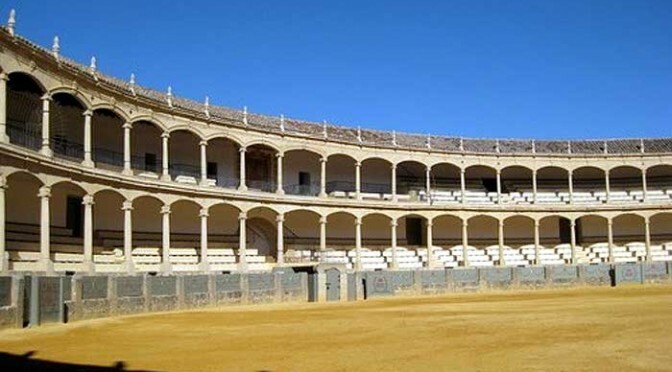 If you don’t have a car then our very good friends over at Wildside Holidays can arrange a guided tour of some of the famous white villages of the area and can pick you up and drop you back to your hotel at the end of the day. Wildside Holidays also arrange nature orientated walking tours in the nearby Sierra de Grazalema. 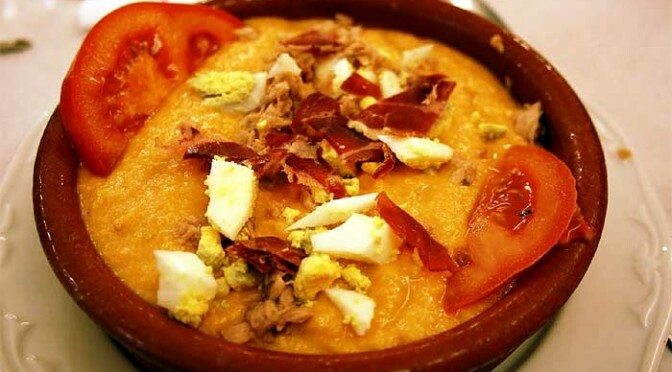 In the South of Spain in the summer people make delicious cold soups, the most famous being gazpacho. Another is porra, and this recipe for traditional Antequera porra is super simple to make.